Vita 57.1 provides a mechanical standard for I/O mezzanine modules. This standard introduces a methodology that shall allow the front panel IO of IEEE 1101 form factor cards to be configured via mezzanine boards. Vita 57.1 modules have fixed locations for serial/parallel IOs, clocks, Jtag signals, VCC, and GND. 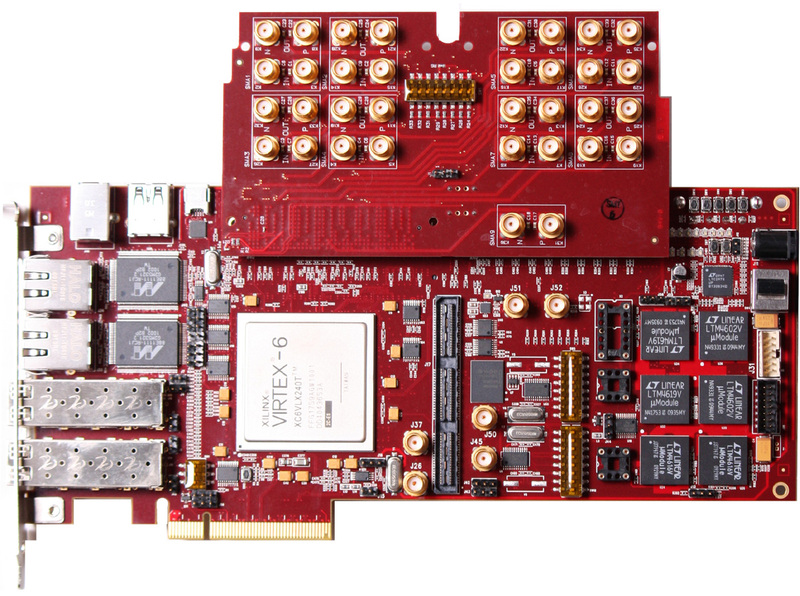 HiTech Global's Vita 57 modules can be plugged into any Vita 57 based boards. The FMC standard specifies Samtec’s SEARAY™ connector set. The VITA 57.1 SEAM/SEAF Series system provides up to 400 I/Os in a 40 x 10 configuration or 160 I/Os in a selectively loaded 40 x 10 configuration, in 8.5mm and 10mm stack heights. The FMC x8 SMA port (HTG-FMC-X8SMA) is a FPGA Mezzanine Connector (FMC) daughter card with support for 8 SMA ports through 32 SMA connectors. Reference clock for the serial transceivers of the carrier board is provided through the module's super clock as well as a pair of SMA connectors for external pulse generators.